What's better than a classic hot chocolate bar? 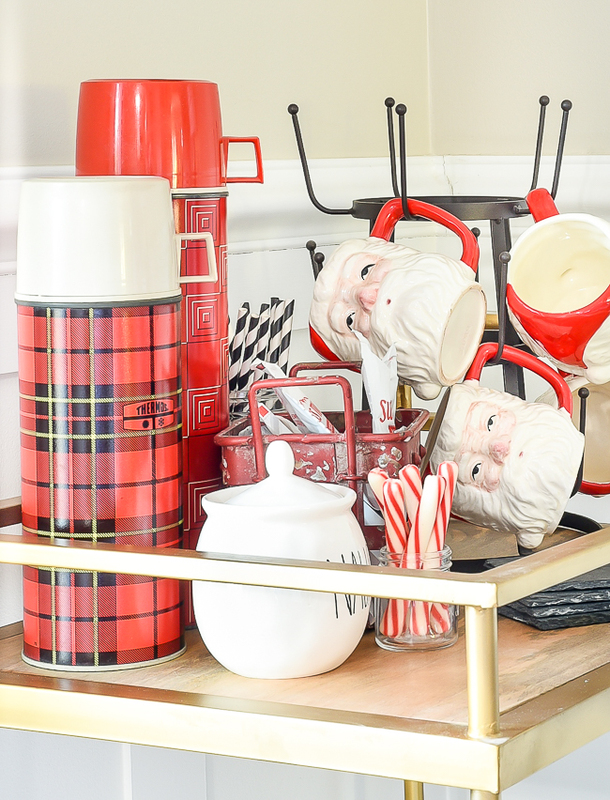 A VINTAGE hot chocolate bar complete with vintage Santa mugs, thermoses and peppermint sticks! I'm a total sucker for vintage Santa's. Whether that be blow molds, figurines, ornaments or mugs! I'm also a sucker for vintage plaid thermoses. I hunt for them all year long and never pass up a good deal. 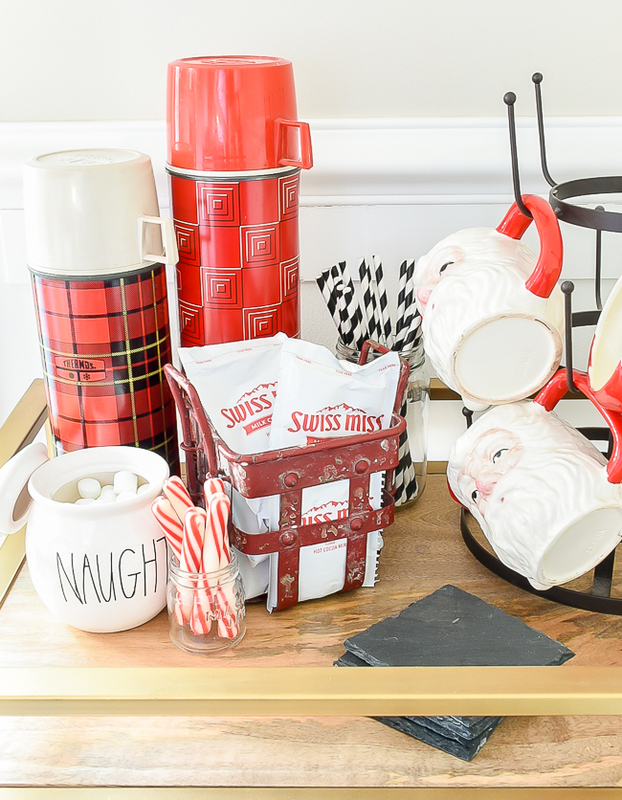 Lucky for me they pair together nicely to create the perfect simple and classic vintage hot chocolate bar. 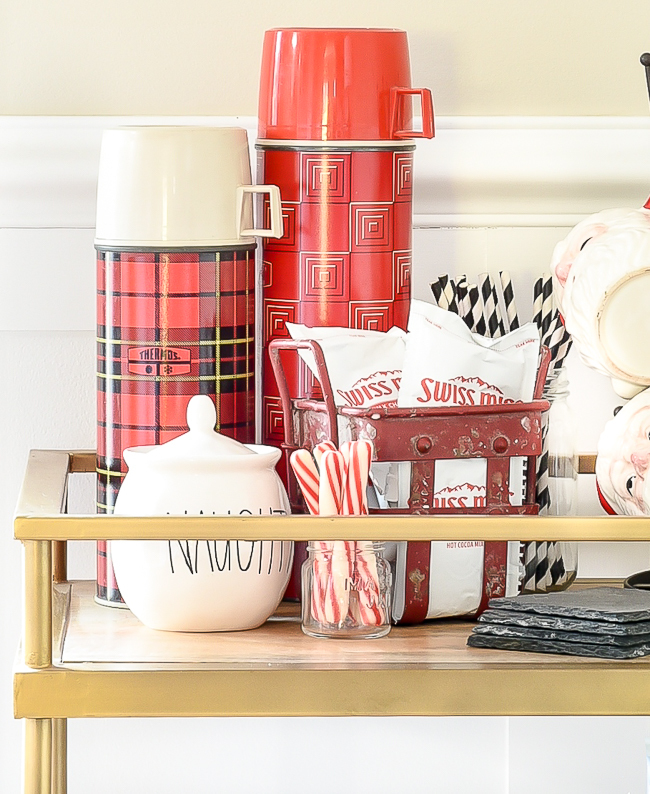 You don't need to get all fancy when it comes to creating a classic vintage hot cocoa bar. All you need are a few simple staples. 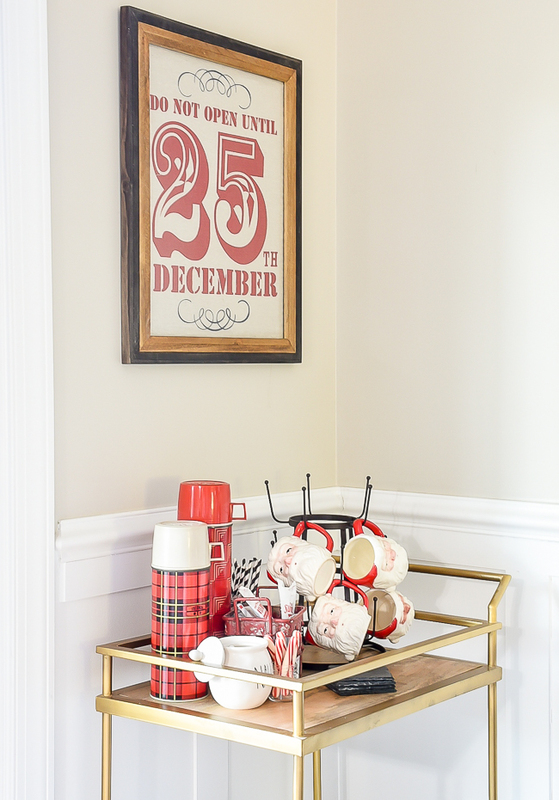 I created my hot chocolate bar on my wood and gold bar cart, but you don't necessarily need a cart. 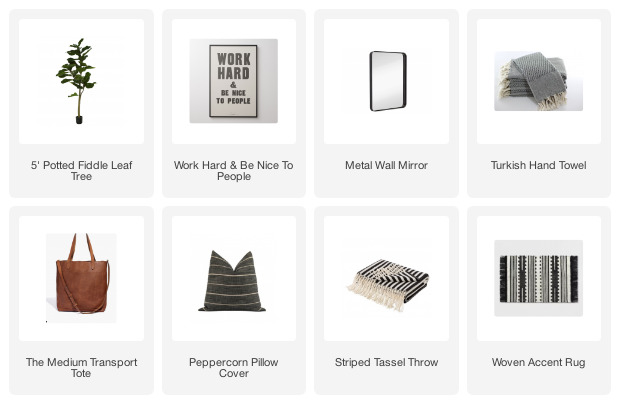 A buffet, server or even an area on your kitchen counter will do. Remember, I said this was a SIMPLE hot chocolate bar. There's no need to get all fancy. 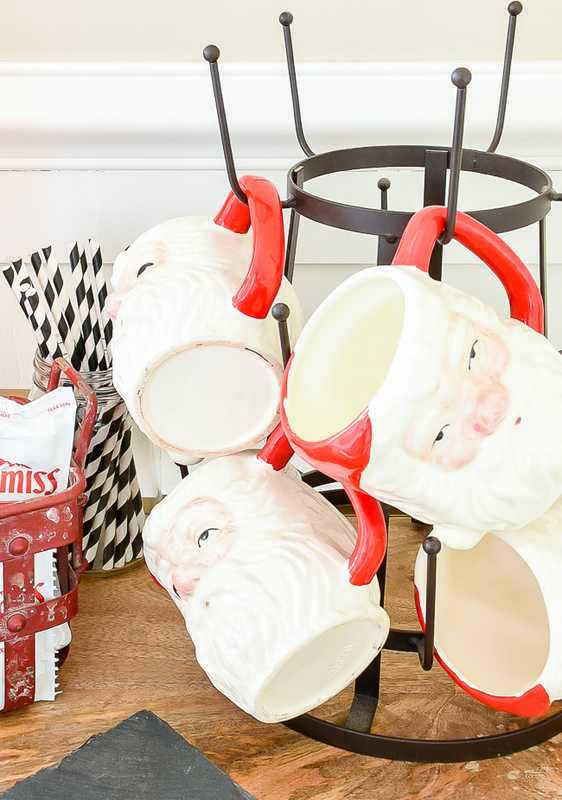 I used a small mug drying rack to display my favorite vintage Santa mugs (found at Goodwill for $.99 a piece). Don't worry, if you can't find authentic vintage Santa mugs many retailers now sell look-a-likes. Michaels, Hobby Lobby and even Dollar Tree have some great affordable options. are perfect for holding steaming hot water and they keep my hot chocolate bar classic and perfectly vintage. 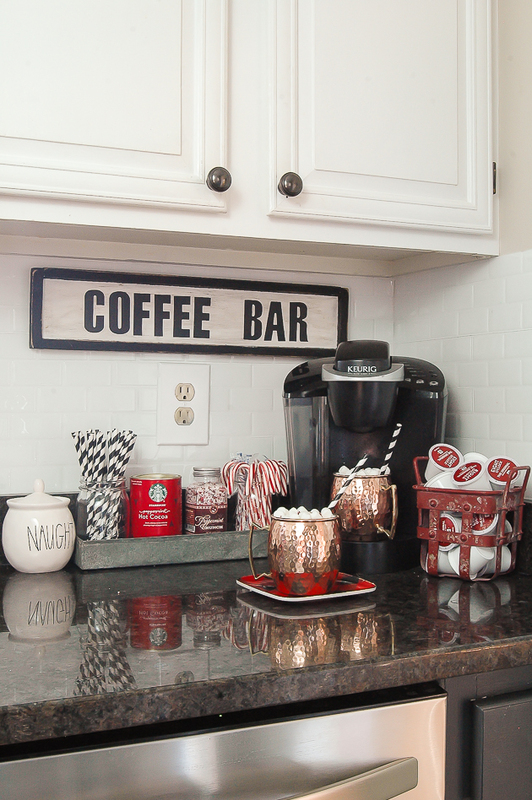 Of course, what hot chocolate bar would be complete without marshmallows and peppermint sticks? 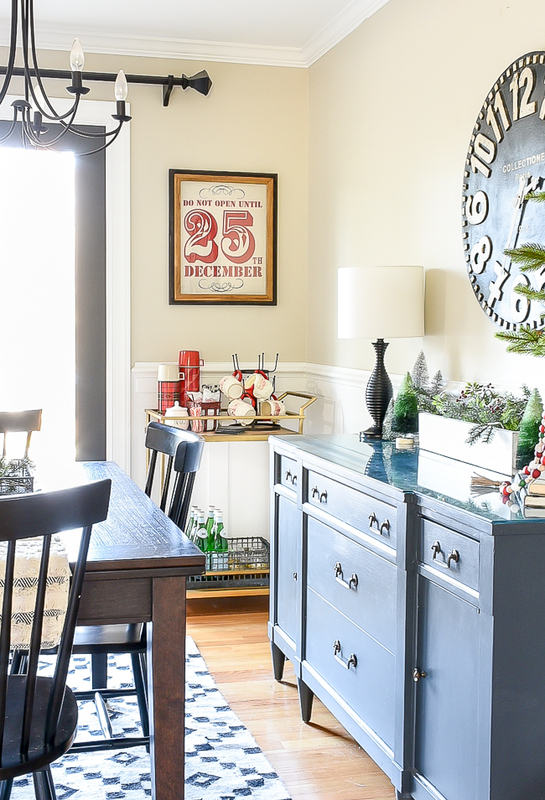 I just love this little corner in our dining room! 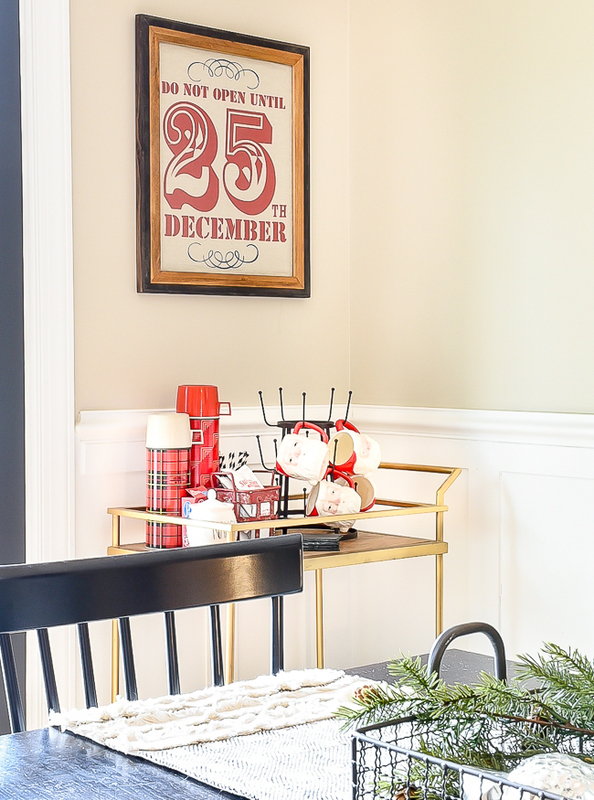 The adorable vintage hot chocolate bar is the perfect addition for winter and I'm half tempted to keep it out all year long.